Seaton, West Bay and Sidmouth are the normal destinations on a Saturday morning. The ride leaves the town at 8:00 summer and winter. 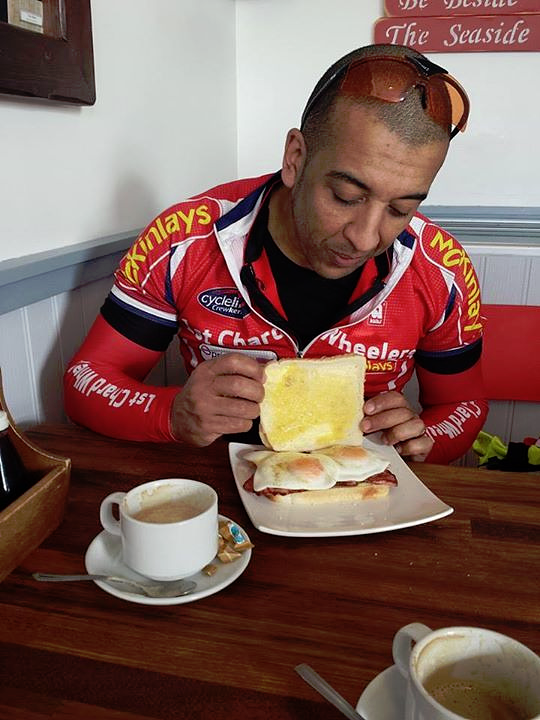 The riders who turn out every Saturday are the club’s culinary experts and you are left wondering how they manage ride the hills on the return leg…. This tends to be a faster ride with a typical average speed in the region of 16 to 18 MPH. The ride meets across from Boots. Ride information is normally posted on the clubs Facebook page each Friday.